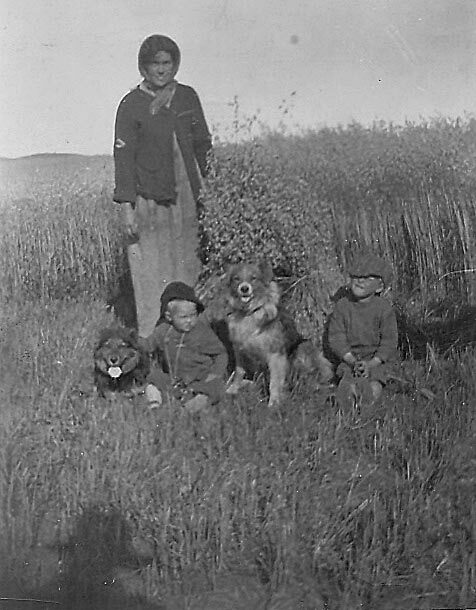 Photo of Mrs. Bessie Hobbs, with Jack & Rodger (Podger?). Champney's (Trinity Bay) or Fogo. might be my grandmother (whose maiden name was Bessie Hobbs). I have no idea who they might be]. on this photo or these people?